We're celebrating our 100th year of service in central Iowa! 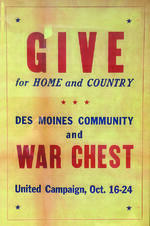 On February 14, 1917 the Des Moines Register published an article titled "FORCES ORGANIZED FOR CHARITY DRIVE." A group of local charities was organized at a joint committee meeting from the boards of directors of the chamber and of the retail merchants bureau and the chamber. This group, known as Des Moines' public welfare bureau evolved over the next century into today's United Way of Central Iowa! For 100 years, United Way of Central Iowa has brought people together to make our community stronger, with more opportunity for everyone. Together, we take on challenges big and small—from convening the community to tackle tough issues like poverty, and getting kids ready for school success, to partnering with thousands of central Iowans who donate each year to a campaign that makes it possible to advance our community’s work. 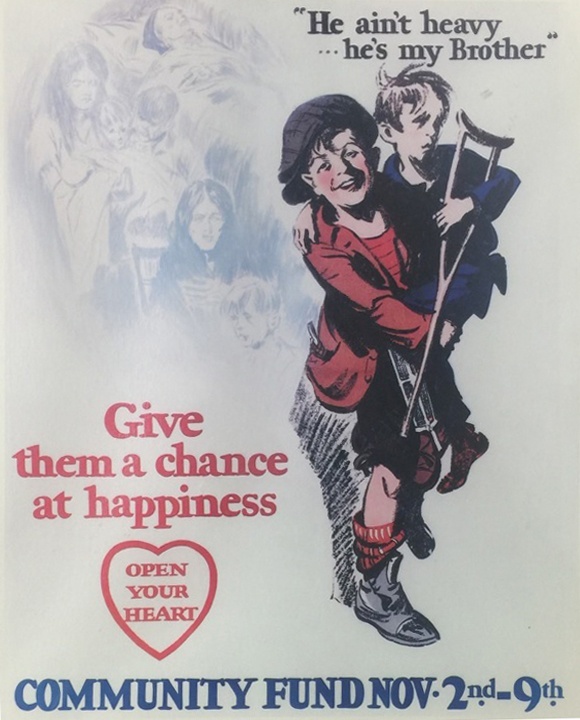 The common thread between United Way’s history and its future is that if there are people who are hungry, if there are people in poverty, if there are children who are not succeeding in school and therefore may not succeed in life, then the status quo is never good enough. Collectively, we have an obligation to act and remain steadfast in the spirit of innovation to continuously tackle the most pressing challenges facing our community. Throughout the year, we will share stories from our past 100 years, interviews with some of the people who helped us along thge way, those whose lives were made better thanks to the generosity of our community and much more. To receive updates please subscribe to our 100th year blog by entering your personal email below. And be sure to visit this page often! Some of the most significant milestones in our 100-year history in central Iowa. Des Moines Public Welfare Bureau is created to assess the financial needs of the city’s social agencies. The first fundraising campaign raises $92,003 ($1.7 million in today’s dollars) under the leadership of J.K. Elwell, benefiting 24 local charities. Community Chest of Des Moines is adopted as the new name for the organization. From the annual meeting, “Today about 25,000 of our people in Des Moines are receiving relief from organized relief agencies. This is approximately one person out of every six of our population.” Gardner Cowles, Jr. is general campaign chair. 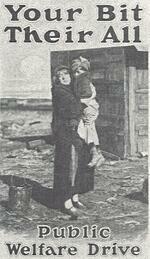 Every campaign during the Great Depression exceeded its goal. Des Moines ranks #4 nationally of 405 community chests. 1,100 women canvass residential districts to augment the 34 teams of 900 workers that seek support for community needs. First united campaign of Greater Des Moines is coordinated to address multiple fundraising drives. The campaign surpasses $1 million for the first time. The words “United Way” appear officially for the first time: “Give the United Way through your Community Chest.” First team of Loaned Executives from local companies helps with workplace campaigns. 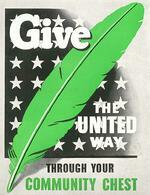 An information and referral phone center is established as the forerunner to United Way 2-1-1. Name is changed to Greater Des Moines United Way. With the help of Farm Bureau Insurance, the organization’s campaign records are computerized for the first time. United Way responds to a critical shortage of quality child care. The RSVP senior volunteer program begins. United Way of Central Iowa is adopted as the organization’s name. United Way of Central Iowa is one of five communities to form an Alexis de Tocqueville Society, recognizing annual contributions of $10,000 or more. Maddie Glazer (Levitt) becomes United Way of Central Iowa’s first female campaign chair. The Principal Financial Group becomes the first Iowa-based company to raise more than $1 million in a single fundraising campaign. Public policy platform establishes United Way as credible resource advocating for health and human services. The annual United Way campaign surpasses $10 million for the first time. United Way of Central Iowa launches Women’s Leadership Initiative (now Women’s Leadership Connection) to improve the lives of children and their school readiness. United Way of Central Iowa launches Emerging Leaders Initiative (now Education Leadership Initiative) to support school success during the middle-school years. 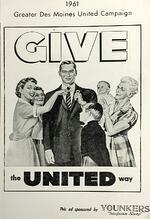 The annual United Way campaign surpasses $25 million for the first time. 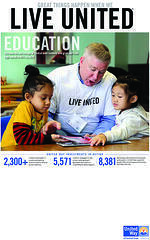 United Way of Central Iowa sets bold Goals for 2020 in education, income and health. This is the public launch of United Way’s collective impact model. United Way forwarded its collective impact work by convening partners around needed systems changes and developing integrated programs to maximize impact and accelerate progress toward the Goals for 2020. Community-wide initiatives that emanated from this focus were Summer in the City, the HOPE Initiative, OpportUNITY, Bridges to Success and the Central Iowa Well-Being Forum. United Way of Central Iowa celebrates its 100th year serving the community. Over that time, central Iowans have donated over $1.34 billion (in 2015 dollars,) advocated for thousands of issues, and volunteered millions of hours to our community. © 2015 United Way of Central Iowa. All Rights Reserved.